We are delighted to welcome you to the official website of John Kennedy CBE, KSG, KCHS, KMCO, DL. (Honorary Doctor-of-Laws, University of Liverpool). We hope you enjoy reading about John’s activities, his interests and some of his tips for success in business, in finance and in life. If you would like to contact John, then please visit the contacts page and we hope to respond as soon as possible. This website will be regularly updated and feature news on all events including the annual John Kennedy Lecture at The University of Liverpool’s Institute for Irish Studies and the regular lecture series in The Republic of Ireland. 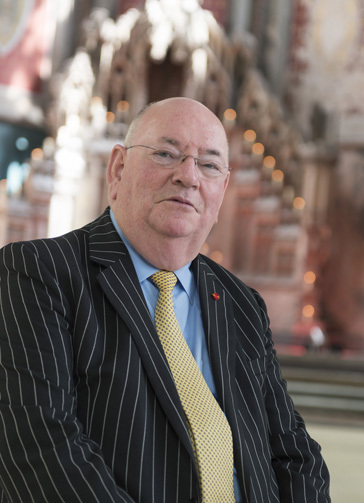 John Kennedy CBE has many business and charitable interests and we promise to keep you informed of all the latest news from John’s activities in the UK, Ireland and abroad. John Kennedy CBE or just John? Outside the United Kingdom he carries the title ‘Sir’ – having been conferred the honour of a Papal Knighthood by Saint John Paul the Second. In England, he prefers, just ‘John’.